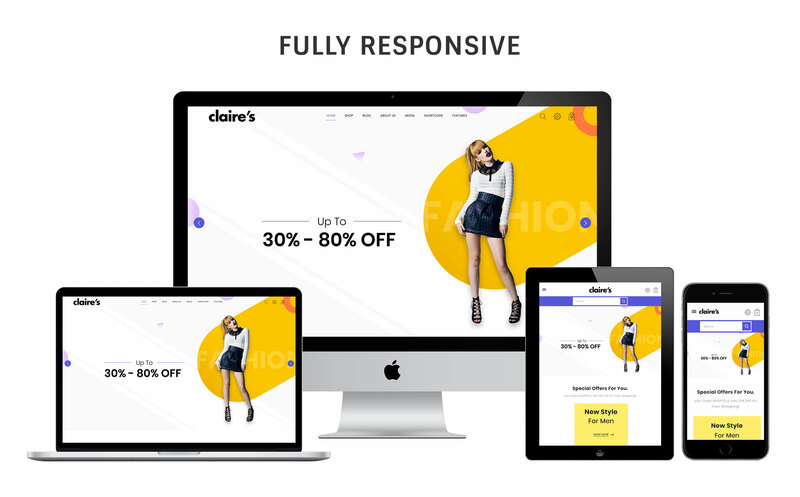 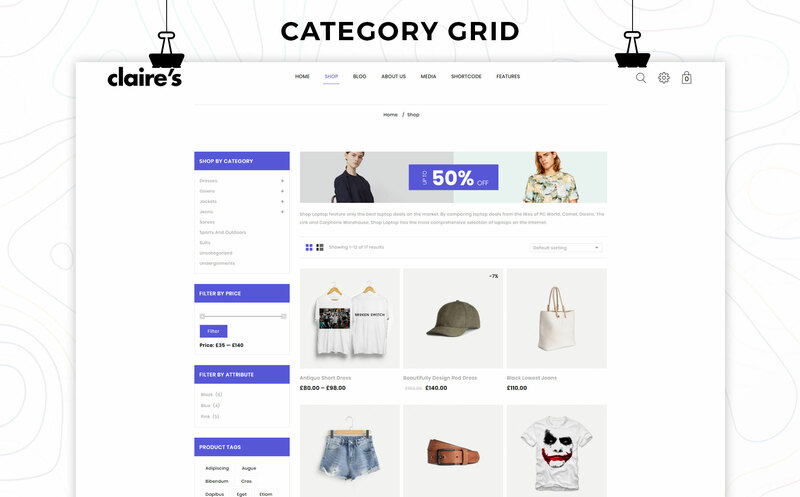 Claires Fashion is WordPress E-Commerce theme based on Wocommerce plugin. 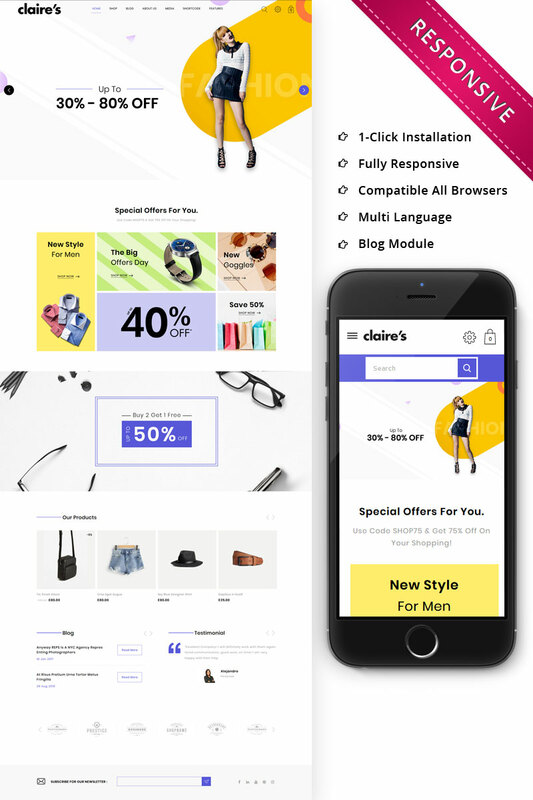 It is specially designed for fashion design, clothes, lingeries, jewellery, electronics, mobile, digital, food, vegetables, coffee, plant, auto, cosmetic, fruits, bicycle, kitchen, sunglasses, watches, accessories, furniture and home accessories store. 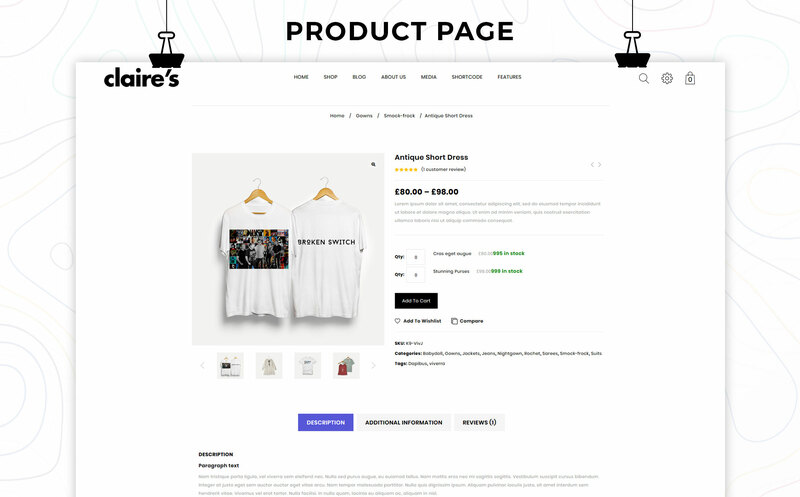 This template is used for multipurpose store which can be used for any kind of online store. 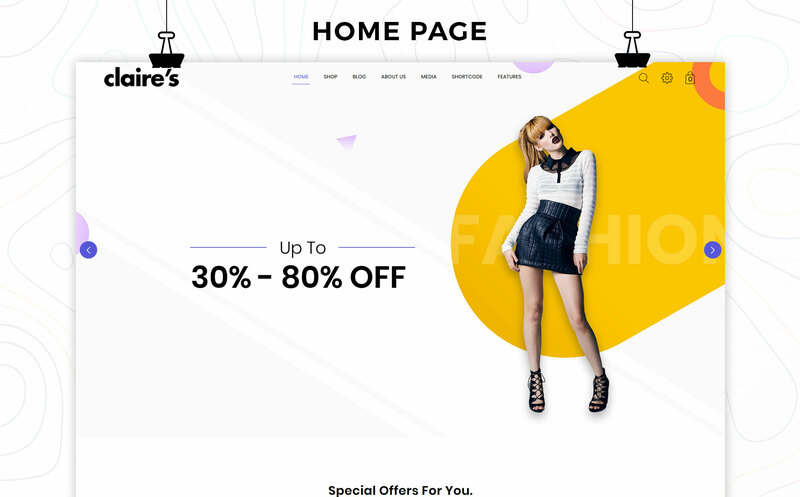 With a great creation of minimalist style that inspires you to create any stunning website.